This was one of the stalls that got a queue during lunch on a Friday. I joined in the queue and waited for a few minutes to order. I could not quite decide what to order as there is an extensive range of items for selection. 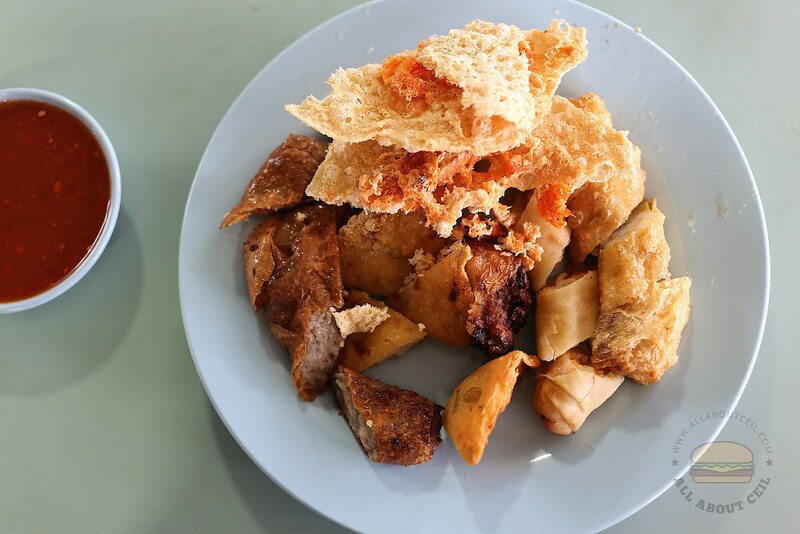 I picked a prawn cracker, a prawn fritter, a ngor hiang, a spring roll and a prawn roll, together with a plate of fried bee hoon for $5.50. My dining companion said, "The ngor hiang tasted really fresh. It is quite soft and you could taste the five spice powder in it." He also said, "The prawn roll tasted a bit like the Hei Zho, it is nice." The rest of the items tasted equally fresh as well. The fried bee hoon at the very first look did not seem to be appetizing as its color was rather pale. I was amazed at how fragrant it tastes when I had my first mouthful and I could not stop eating after that. 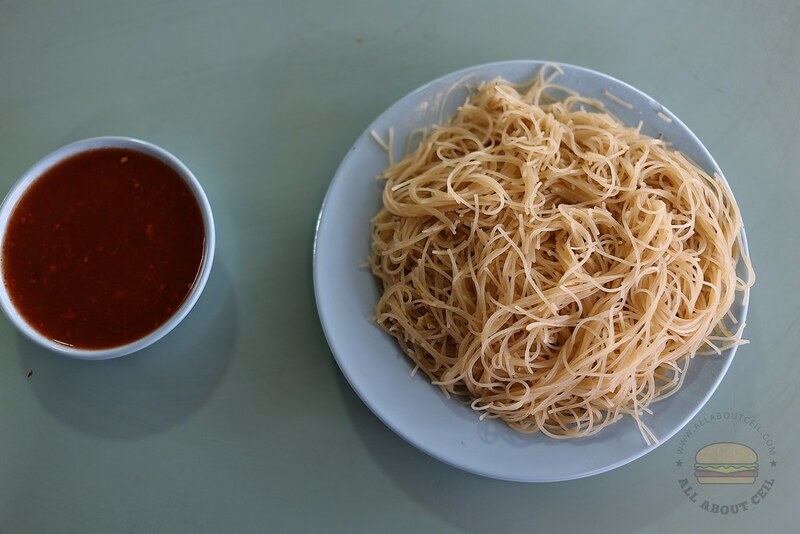 Though Fried bee hoon is just a simple dish, it is difficult to cook it this well. 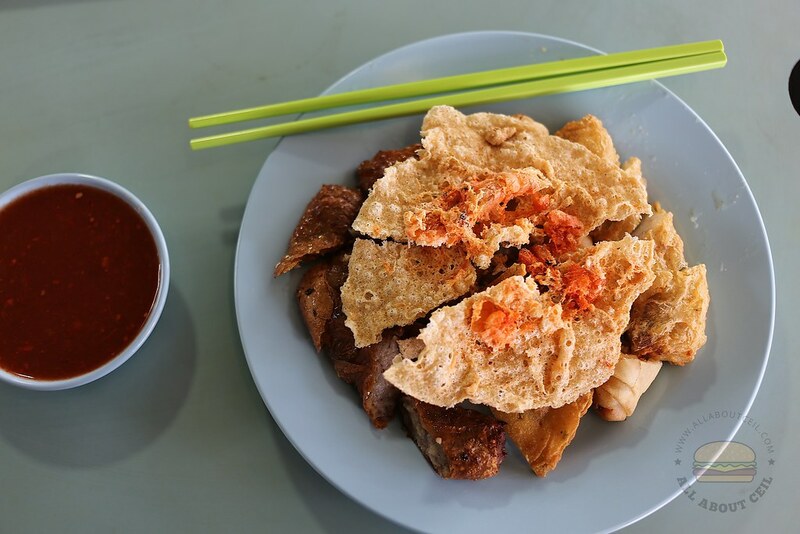 It is so good that I could just eat the fried bee hoon by itself. This is definitely one of the better ones that I have eaten. So you finally tried it. Better than Sembawang Hills eh. praying hard the michelin inspectors don't turn up! I never think too highly of that French tyre rating. I doubt that they have actually send their inspectors to go around to find the best of the best to be featured in their guide. I really think the Soya Sauce Chicken should not be awarded the star. I think they went beyond the taste of his food to award him a star. He's a honest hardworking person who wants to ensure the old folks there could afford eating his stuff. For that I respect him. I do respect him for that as well. The queue at his stall is so long now and it is physically challenging for these old folks to queue that long just for a cheap meal. There's a soy bean drink stall behind it, I think its called 望梅 . They made the drink themselves. Very thick and creamy. Been drinking that for 30 years. 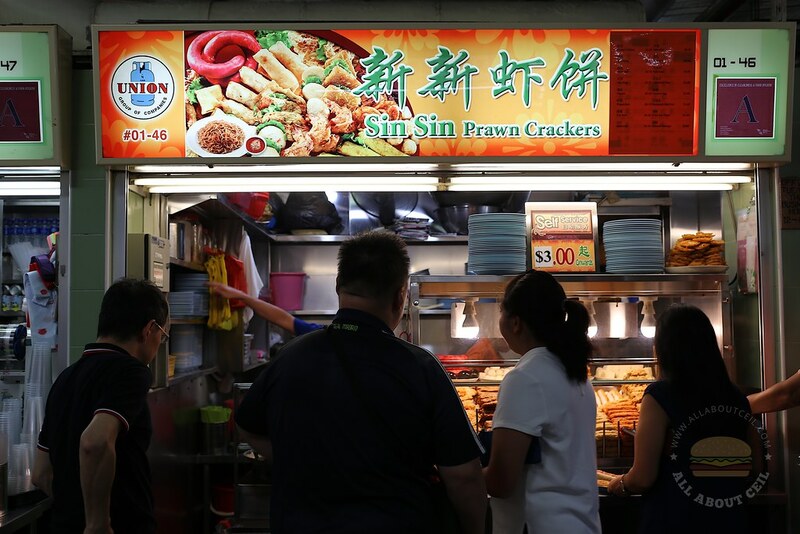 Just a few stalls to the left of Sin Sin is a roast chicken rice stall - with a red signboard - go check it out. Restaurant quality roast chicken, the skin is golden and not dry at all the meat is moist too. The rice is not too oily as well. There are more interesting stalls there. Will update in your next post on Lorong 8. I was seated in front of that stall while waiting for the fried kway teow mee that I ordered from Zheng Xing Fried Kway Teow. that CKT stall is a bit unique. Their version isn't sweet but close to salty but not as salty as Penang version. The chicken rice stall is 金福, another stall to watch out for is I think #01-72 (next to bak char mee), selling fish soup. They are generous with dried sole fish for the soup base. The bugis beef noodles now has a queue. the lady is from xiamen. Its not bad and she's very generous with the ingredients. despite remembering that I want less noodles, she still gave me so much that I could only finish half a bowl. Thanks. Will drop by soon.